We have been visiting museums since the children were 3 years old. Even at the age of 3 we were sure to remind them about proper museum etiquette, but we were also always sure to make museums a fun place for them. 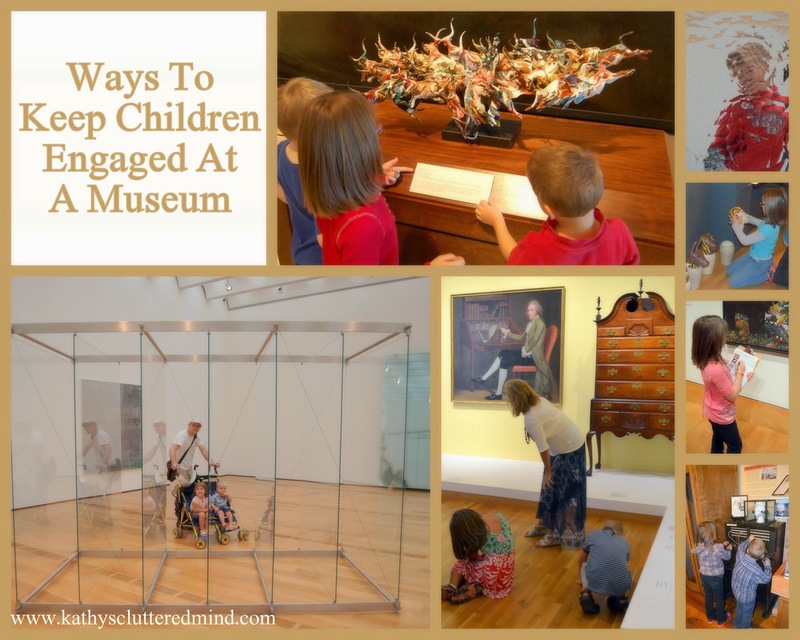 Here are a few ideas for keeping children engaged at a museum. Find scavenger hunts or journal pages for children to complete during their visit. You can find FREE printables several places online and on my FREE Notebooking/Journal page. You can also check with the museum to see if they offer any resources. Many of our local museums provide FREE scavenger hunts, family friendly guide brochures and even flashcards. Take along art or history books that contain information on some of the artifacts or pieces of artwork you may encounter. Ask the museum if they have discovery backpacks available. These generally contain resources (like books, drawing paper, magnifying glasses, etc) that children can utilize throughout the museum to enhance their learning experience. Find out if child friendly audio guides are available. Take a docent led family tour. Take along a small toy or something children can hold in their hands so they won't be tempted to touch. My son always takes along a couple Lego Minifigures to help his wandering hands. Give children a pad of paper and a pencil and have them draw their favorite pieces. Discuss the art and artifacts with children, don't just read the informational plaques. Ask them questions like what is your favorite color in the piece or what do you think the artist was trying to convey. Discuss the tiny details, like the girl standing in the background. Have children count objects in the artwork, like birds or trees. Discuss cultures and time periods. Remember children do have short attention spans so it is perfectly okay if you don't see the entire museum in one visit. Be flexible and have fun! Nurture their love and curiosity for art and history early on because children that learn to appreciate art and history become adults that appreciate art and history! 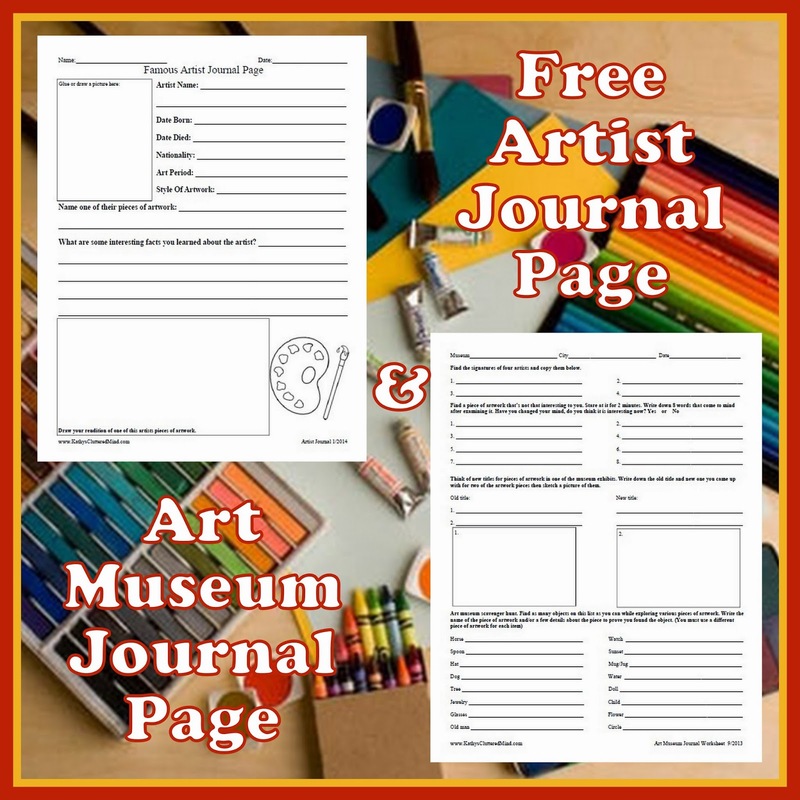 Don't forget to download your FREE Artist Journal Page and Art Museum Journal Page!